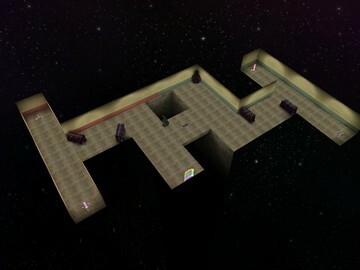 Description: This is a very symmetrical map designed with all game types in mind. 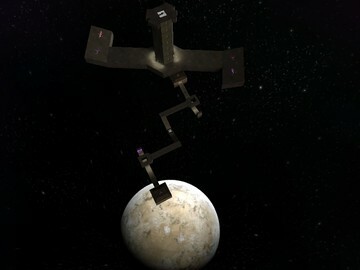 It features floating walkways hovering above a deadly abyss of space. This is a very symmetrical map designed with all game types in mind. It features floating walkways hovering above a deadly abyss of space. I attempted to design with the intentions of balanced game play; I think I achieved it. Special thanks to Maniac1000 for answering all of the questions I had during the design process. I certianly did learn a lot from it. Most textures came from an anonymous texture pack I downloaded from the halomaps website.